At Pam Kraemer Designs LLC, we provide branded graphics for a variety of applications such as marketing print materials, product packaging and websites. In fact, you could say with more than 25 years of experience in the field, we’re experts. 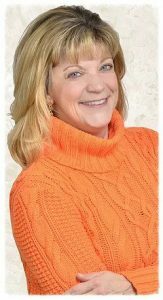 Our founder, Pam Kraemer, has worked with a wide array of businesses throughout her career. She has designed graphics for advertising agencies, direct mail and packaging companies, marketing or communications departments inside of corporations and businesses like yours. Large or small, Pam has done it all! We can work with your existing brand to create print or packaging designs, or design new branded graphics to give your company a completely new look. If you need a graphic design solution, call Pam Kraemer Designs today at 513-254-4631. Cintas, UC Health, Cincinnati Federal, McNicholas High School, Social Flair Marketing, ELK Enterprise, Green Images Lawn and Landscape, engage321, Realty Executives, ABK Home Inspections, Interior Renaissance, Allstate, Plan-It Now, Schoenling & Associates, Zenith Restoration, Nanny Belle’s, LANrm Technologies, Adams & Co. Services, Social Wildfire, Diversified Ophthalmics, Inc., Vernovis, Dingo, Nature’s Miracle, Furminator, Kookamunga, Perfect Coat, Ecotrition, ProSense, The Cobb Group, First Travel, Luxottica Retail, LensCrafters, Sunglass Hut, Gift of Sight, Direct Marketing Results, Owens & Grimes Insurance, Procter and Gamble, Great American Life Insurance Co., Miller Myers and Associates Inc., Cincinnati Bell, Henry Fischer Builder, RWA Inc., Martin, Bird, White and Young, The Clarion Hotel, DuBois Chemicals, Powers Agency, Franciscan Health System of Cincinnati, The Cincinnati Opera, Paramount’s Kings Island, Coney Island, Totes Inc., and Hasbo.